Lavern’s Law is enacted in New York to protect the rights of cancer patients. The Statute of Limitations (the time one has to bring a lawsuit) that victims of medical negligence is typically two and a half years from when the negligence occurred, (tolling exceptions may apply). 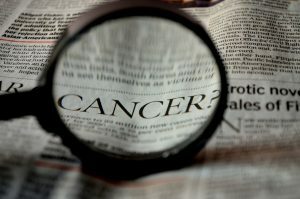 Currently, many cancer patients who are the victims of medical malpractice are never aware of the negligence because their cancer is not diagnosed until after the statute of limitations has expired. An exception has recently been enacted. The law is named for Lavern Wilkinson. Ms. Wilkinson was a 41-year-old Brooklyn mom who died in 2013 of a curable form of lung cancer after doctors at Kings County Hospital misdiagnosed her. By the time she sued, the window to file had expired. She left behind a 15-year-old autistic and developmentally disabled child, who needs round-the-clock care. Lavern’s Law applies to patients who have been harmed by the failure to diagnose cancer or a malignant tumor. It does not apply to any other medical malpractice cases. Under Lavern’s Law, the statute of limitations would begin to run when the patient knows or reasonably should have known of the error and harm, with a limitation that only seven years can pass between the negligent act and the bringing of an action. 44 other states presently have provisions to allow patients to bring an action with a prescribed time period after they learn of the damage. Collopy & Carlucci applaud the Governor and the Legislators for protecting the rights of Cancer victims.